Local dignitaries, tech gurus, and students gathered at the Tannery in Kitchener Oct. 28 to officially open Velocity Garage and honour the hard work done by the company so far. 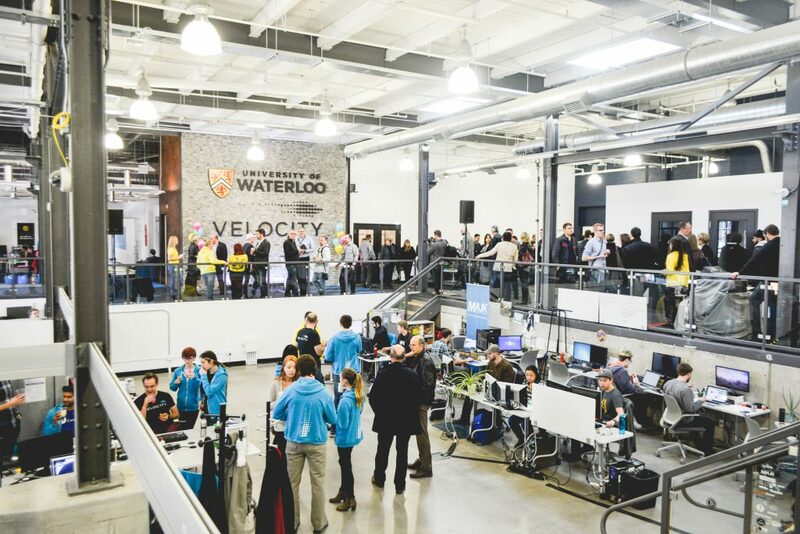 The Velocity Garage is a work space occupying 37,000 sq.ft. 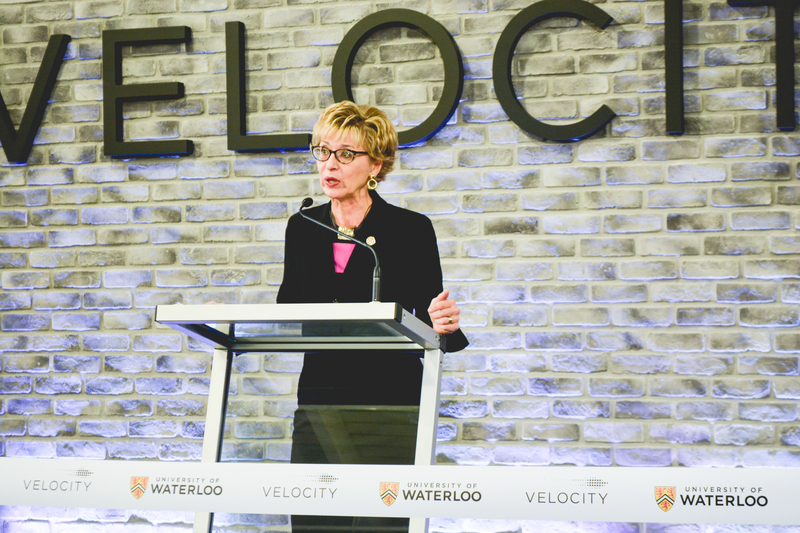 and hosting up to 120 startups, the majority with origins at the University of Waterloo. The new facility features a wet laboratory, assembly space, workshop, and prototyping lab for developing startups to use for their innovations. The Garage was filled with local politicians and technology lovers from all backgrounds. Before special guests were invited to speak and cut the ceremonial ribbon, attendees mingled at a custom juice bar and noshed on cake pops decorated with delicate UW crests. 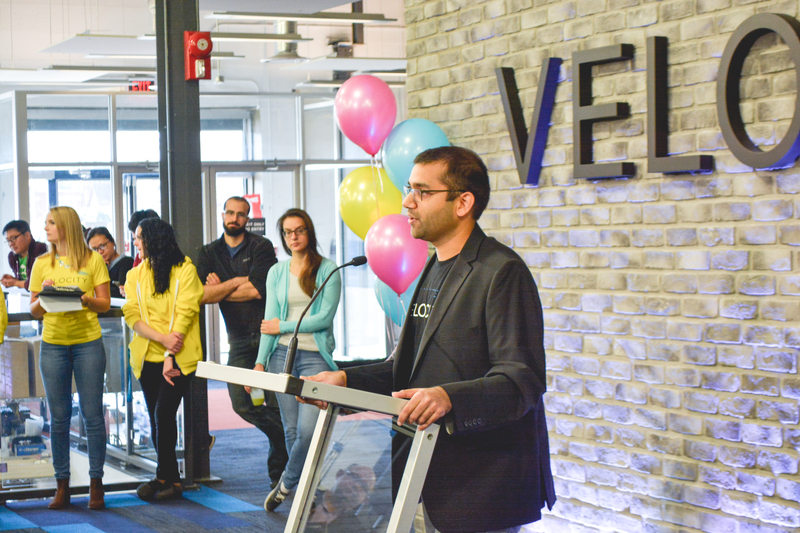 Velocity director Jay Shah addressed the excited crowd gathered near the podium. He spoke first of his gratitude to the previous managing team, acknowledging he had only taken on his role as director two months prior. He then spoke of the positive impact Velocity and UW have had on the region. 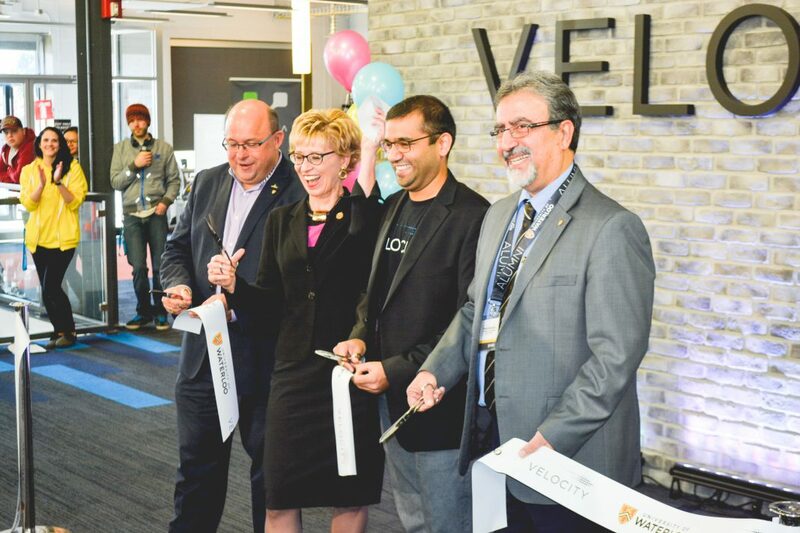 “Velocity is a key component of the region’s innovation ecosystem and a symbol that the University of Waterloo is leading in economic growth and job creation through entrepreneurship,” said Shah, visibly excited as he address the large crowd. Local MPP Daiene Vernile provided the statistics to back up Shah’s comments. 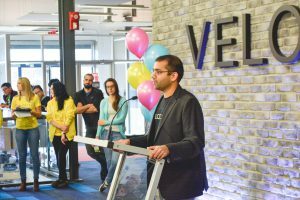 “Since the Velocity program started in 2008, it has facilitated the growth of 175 companies, which have created over 1,200 jobs in the region, and these are good-paying jobs.” The crowd interrupted Vernile after this comment with a round of cheers and delighted applause. 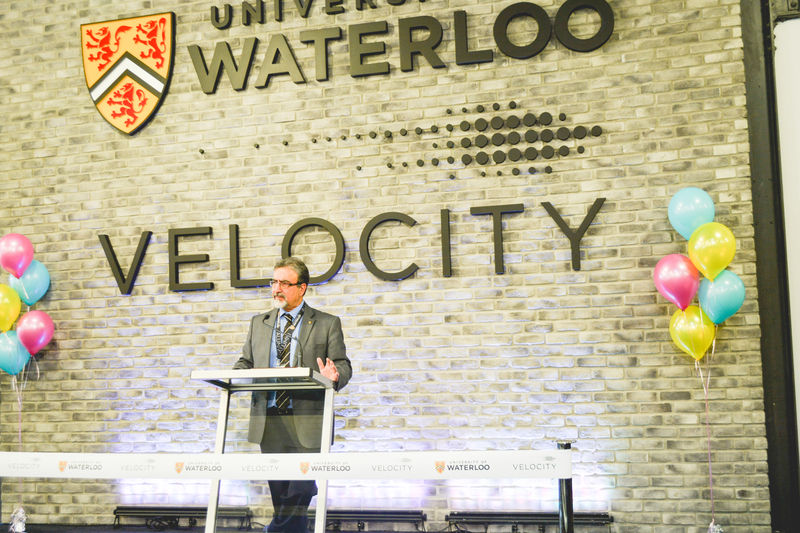 Last to speak was President and Vice Chancellor of UW Feridun Hamdullahpur, who opened his address by showing off his Pebble smartwatch, a highly successful product of the Velocity startup incubation program. UW President Feridun Hamdullahpur speaks at the event. After the ceremonial ribbon was cut, press and visitors were welcome to tour the giant facility. Imprint had the privilege of being led by UW Arts and Business student Erik Van Ees. His pride at being involved with Velocity was clear as he showed off the zen rooms, lecture halls, and the incredible red slide that members can choose to take instead of the stairs. He gave details on how students can join in: “If students are tech-minded they can enter the pitch competition, which Velocity holds every year … which provides grants and a space at Velocity,” explained Van Ees. But what about the non-tech students? Is there a place for arts in this incredible incubation space? Van Ees excitedly explained that, yes, there is. Excitement and regional pride were high at the event, which respectfully only ran until noon to allow the employees to get some real work done. As the facility slowly emptied, guests left with smiles on their faces and tummies full of cake pop. 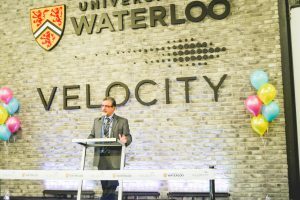 The event was successful in inspiring a feeling of success and innovation in the region, with UW and its Velocity child, now all grown up and moved out on its own. This article has been updated to correct the spelling of Erik’s last name from ‘Vees’ to ‘Van Ees’.